I often become interested in a colonial dish only to learn that it’s perhaps not so colonial after all. This happened with anadama bread. 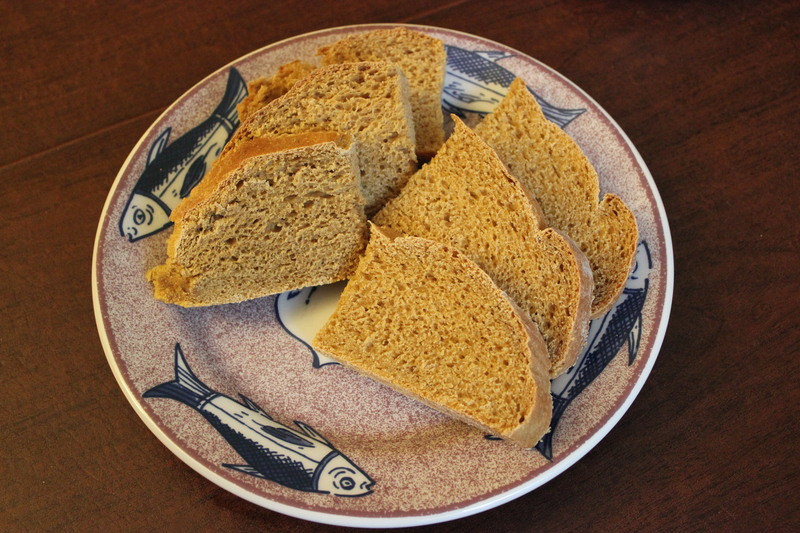 It’s described in some modern cookbooks as an 18th century bread, but it doesn’t appear in 18th or even 19th century cookbooks. However, an Anadama brand bread was recorded by the U.S. Patent and Trademark Office in 1850, and there is anecdotal evidence that it was made before then.